Dumb question on primer re-seating? Re: Dumb question on primer re-seating? much safer to just pull the bullets, and start over. Despite having loaded thousands of rounds per year (times 40 years) without having a primer go off (we won't include the early Lee Loader days), I would not risk having one go off with a load of powder and a bullet by trying to seat it deeper. Details seem a bit slim! Why do you suspect that they are not seated? Have you tried standing them on a hard flat surface to see if they 'rock'? If they 'rock', they probably did so before having been charged with powder and a bullet so the inspection program needs to be stepped up! What did you plan to shoot them in? If it was a revolver and they will fit, I would still shoot them rather than take them apart (presuming this batch is not 5,000 rounds or some such number, again slim information), you could load one at a time to prevent having one adjacent to the barrel firing due to recoil. If they are intended for a semi-auto and the primers do actually protrude, I would not chance shooting them because of the (however remote) chance of having one fire while the gun is not yet 'in battery'. My suggestion would be to make sure that you have a problem before working to solve it. There must be someone in your area (again, slim information) who could look at the rounds and make a better determination as to their safe function. I agree with both of the above. Can you post a picture of how the primers are sitting? One idea is to take a straight edge such as a ruler and place the blade edge across the base of the round, over the primer. You should be able to tell then if it is flush or not. I've never tried the rocking method, but I like that idea too. I have had some light strikes (this is with a revolver) but I have been experimenting with that as well. If they are not fully seated, it's not far off. There are not so many that shooting them off in practice is such a bad thing. As I said, kind of an odd question and it was more a comment that I read in another string which led me to ask the question. I'm not sure even if someone had said it's ok to do whether I would have had the guts to risk it. Thanks for responding. It's a good question to have asked. High primers will probably hang up in your revolver, causing very hard operation in turning the cylinder. As Mr. Chapman has indicated, a lighter double action pull on your revolver is a very likely cause. Check your mainspring tension screw: if it is not in most or all of the way, move it in (assuming S&W). If it is in all of the way, pull it out and check to see if it appears to have been cut, as many have been in cases like you describe. If the mainspring tension screw has been cut, order a new one, and in the meantime, take the anvil out of a spent primer, and reinstall the screw with the spent primer cup acting as a shim between the screw and the hammer spring. I hate/despise shims, but this works as a temporary fix and is a quick way to prove out the possibility of this as a problem. I'll be the contrarian here. You can (I've done it). Is it recommended? NO! But it can be done. Now that said. If you get more than one or two out of a thousand rounds loaded, There's something wrong with your reloading technique. All other comments apply. Like Wobbley, I've done it without mishap. I would NEVER do it without good wraparound eye protection (that's what I used), and I would also NEVER do it if the powder involved is a fine-kernel product that will pass through the flash hole. More willing to do it with pistol rounds than rifle, but still I'm very careful--to the point that I don't do it any more (better loading "hygiene", so to speak, had kept those events in the past). Now, I cannot remember if the S&W hammer is supposed to fully resist three pounds at the spur before starting to move, or only two. I go with three. A stunningly smooth and light DA pull, and/or SA pull, is never to be obtained with an accompanying sacrifice of ignition reliability. And in my experience, target loads will start to string vertically before ignition becomes erratic. So I'd look at the hammer before worrying about primers being "fully" seated. If a gun's hammer or striker "wastes" energy by seating a primer from flush to anvil fully against the bottom to the point that misfires/hangfires occur, that strike is just too light to begin with. So re-post the related question in the Equipment forum, asking just how hard your revolver's hammer is supposed to be sprung. If the mainspring tension screw has been cut, order a new one, and in the meantime, take the anvil out of a spent primer, and reinstall the screw with the spent primer cup acting as a shim between the screw and the hammer spring. I hate/despise shims, but this works as a temporary fix and is a quick way to prove out the possibility of this as a problem. Been there, done that for one of mine (bought used and abused) AND for a friend's revolver (he just plain went too far on a way-too-heavy strain screw setup). It is merely a temporary fix. Being short on tools, spare parts, and workshop goodies as a poor broke college student, I wound up with the permanent solution being to spin the strain screw in a drill or Dremel (I forget....) and file or stone the side of the screw head near the threads to let the business end push farther on the spring. IMO, strain screw revolvers should always be set up to cram that screw fully tight so it cannot back out and muck things up. Well, to put a cap on it all, my last fix for the revolver (S&W 586) was to install a Wolff reduced power kit. 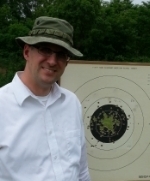 I also got some Federal Primers per recommendation and I shot 100 rounds, 60 of which were in DA and no issues. The DA action was very smooth and I shot some simulated Rapid fire at or above my current expectations. Very happy with how it all came out. My original loads were my first batch through the loader for 38spl and I did not get everything set up right (since corrected). The loads weren't totally bad, but as soon as I started working the trigger/spring action, I experienced the occasional light hit. Obviously can't have that in a match. Ok, I have done it with a hand priming tool, glasses, pointing things in "safe" direction. I would not do it again to save pennies there is no cost benefit. I would suggest pulling the bullet killing the primer with wd40, cleaning the case, and reloading it from scratch. 1) Use Remington Primers for a revolver if available, do not use TULA. 2) If you are using used or range brass make sure your primer pockets are clean. I also use a hand primer versus the progressive press primer seater. 3) I don't use a progressive press for 38 Special and check my primers for depth before I charge the round. In the tray I keep my primed cases mouth down until they are charged. I then charge my rounds and place them in a second tray. I then visually inspect the cases for double charges or no charges. Only then do I seat the bullet. I load all of my .38s on progressive, and I've never had a dud yet. I've been using CCI, WSP, and Federal Gold Medal Match primers. I don't want to start a whole new thread about this.... when seating primers on a progressive press, do you seat the primer until the case will not rock when placed on a flat surface, and then go a tiny bit more? Also, if a primer can go off when you try to seat the primer a bit more, doesn't the mean the primer could have gone off in the priming station on a progressive press? Powder and a bullet make the whole thing much more dangerous, but I've never heard of a primer going off when it's being pressed into a case. Am I missing something I need to know about? There is no powder in an empty case that could have got into the primer hole and be pinched between the primer and the case. Bingo! Putting it like that makes it perfectly clear. Thanks! One more mistake that I won't get to make. Wobbley wrote: I'll be the contrarian here. You can (I've done it). Is it recommended? NO! But it can be done. I agree with Wobbley. I've "nudged" quite a few high primers, by using a small hand primer like the Lee. It gives you a distinct feel when the anvil just touches the base of the primer pocket. BUT, don't overdo it. If you're not sure you can do it safely, then DON"T. I've never had any go off. You might want to practice on a few empty cases first to get that feel. But it sounds like you need some kind of adjustment on your press. This should be a rare occurance if at all. Maybe this is a good place to ask. I've got a RCBS Pro2000, but maybe all presses do this the same way. There is a bolt with a locknut, which stops the movement of the press when the primer has been seated to the proper depth. I also read that this can be done by "feel". Long ago, I used to seat primers until the bottom of the case was flat. Now I see the the primer should be recessed a small amount. How do you guys deal with this? mikemeyers, you ask many questions. 1. I'm not familiar with RCBS, but I don't see any way to "feel" a primer seating in a progressive. Too many other things happening at the same time. It's a trial and error thing. 2. Flush seated or a few thousandths deeper seem to work just fine either way. 3. Of course, writers won't recommend anything deemed risky for liability. There's always some idiot out there with no common sense. 4. It's totally safe to use a kinetic puller on a live round. That's what they're designed for. 5. My little trick is to put a softie ear plug in the bottom of the puller to cushion the bullet's impact when it releases. As long as the base of the bullet isn't damaged, then I load it again. Without that cushion, you'll surely damage the bullet, especially lead bullets. There are tales on the internet of folks having rounds go off when pulling a bullet with a kinetic puller. I think the situation involved watching kids at the time the bullets were being pulled. There is no such thing as 'fool proof'.